Costa Rica is a small country, located in Central America and it is known as one of the most diverse countries in the world. With only 51 100 square kilometers, it contains the 4% of the world´s biodiversity, the 25% of the territory is covered by protected areas by the Government. The country has a lot of indigenous culture, and Costa Ricans are proud of its legacy and preserve it as well as its natural resources that are part of the natural enchanting. It is certainly, a country where you can visit to learn and know the real meaning of “authenticity”, Even though it is a small territory, it has 7 provinces where you can discover amazing tourist attractions and create memories during your family trip to Costa Rica, and those memories will remain on your memory as it could be the destination of a lifetime. 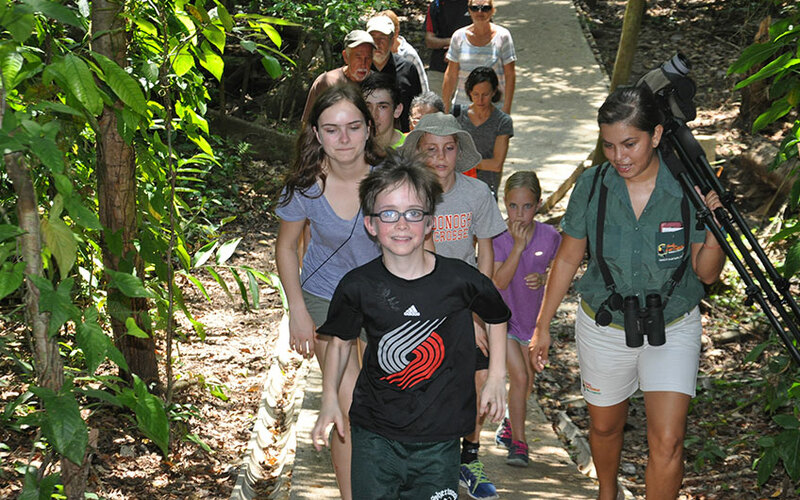 Travel to Costa Rica with children requires some special arrangements to make a good balance between recreation and the right activities in order to produce a great impact and make these trips unforgettable for them. The tourism on children is very important, because it helps them to encourage their knowledge, tolerance of cultural differences, sensitivity to new experiences and independence. 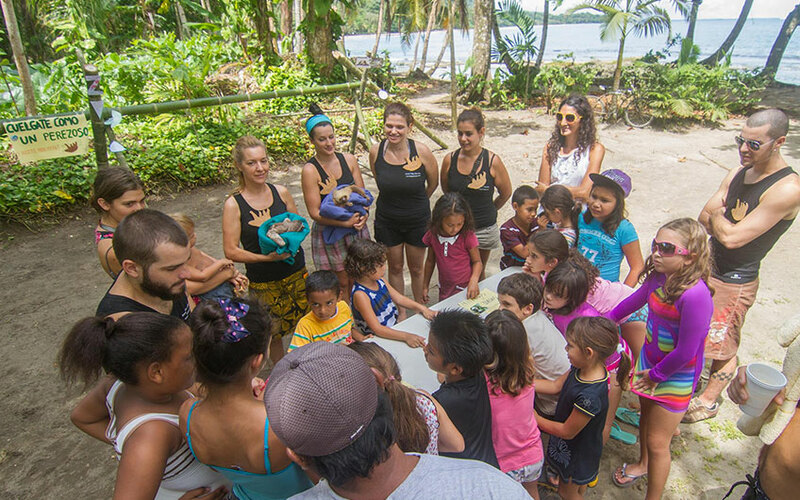 Costa Rica is a great country to visit with family, here you and your kids will find a wonderful way to learn about ecology and environmental awareness. There is a huge diversity of areas in our beautiful country to travel with children. There are a lot of fun tours and nice activities around the country to make sure you will have a great time. Some of those activities we suggest are: taking some canopy tour (zip line), horseback riding, boat expeditions to see crocodiles or water birds, butterfly gardens, hanging bridges and walking tours to see monkeys, birds and sloths. 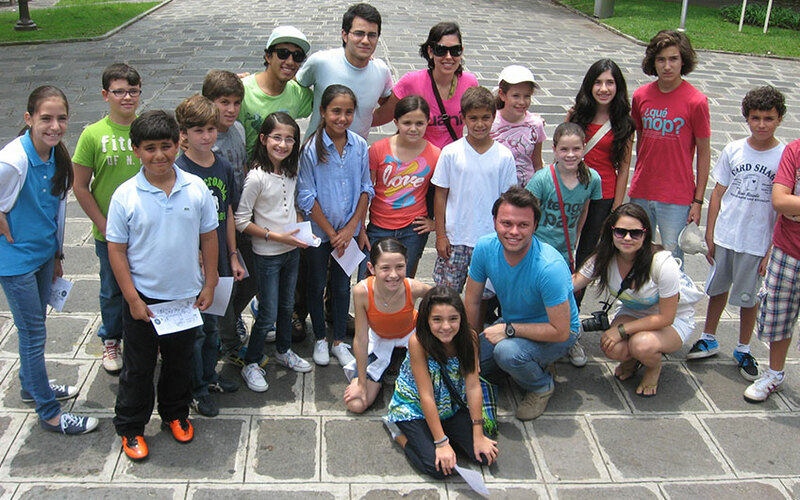 Cultural activities: we believe that the best family vacation in Costa Rica should be loaded with learning, and theaters - museums have most of Costa Rican history; the recently renovated Jade Museum, has a very good technology, a lot of interactive explanations, and games to enjoy in family. This is the best way to have fun, while you are learning. This is located in the capital of the country: San José city; close to the main facilities. We can also recommend the Children’s Museum because it was actually created to learn science, and have fun in family. It is located very close to the Central Market, where you can be in contact to locals and if you want to taste authentic local food, this is the right place. It is a worth visiting province first capital of Costa Rica. 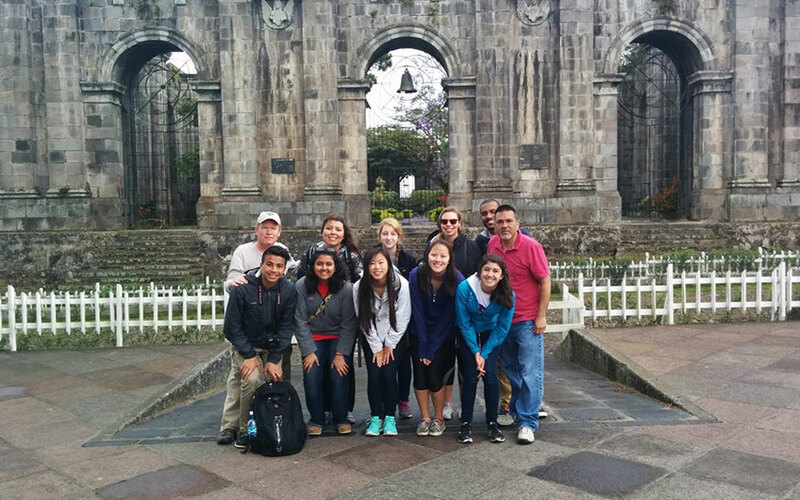 There are located the ruins of “Santiago Apostol” (an unfinished stone construction due to earthquakes) it was supposed to be a church and it is an icon of Cartago, where the news of the independence of Costa Rica arrived. If you prefer Costa Rica family adventure, you can visit Turrialba area which is a small town where you can do adventure tours in Costa Rica, like canopy, rafting in Pejibaye River which allows children under 12 years, or Pacuare River as the best one for rafting; this place is world known for its rapids but only allows children older than 12 years, or you can enjoy here some biking too. 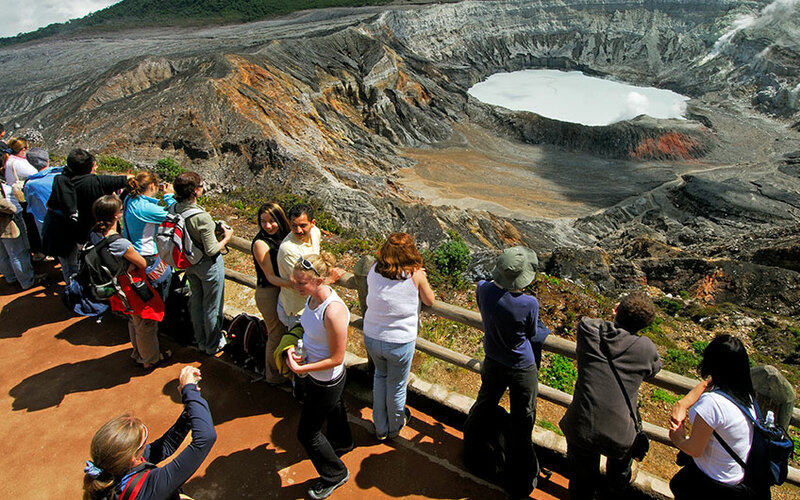 This province has two of the most important attractions, the first one is the Poas Volcano National Park, which is possible to visit from the Central Valley, it is located at 1 hour approximately from San José city and the second one is Arenal Volcano National Park in La Fortuna Costa Rica, where the only conical shaped volcano of Costa Rica is located; two of our active volcanoes. Your Costa Rica family itinerary can include another traditional and cultural tour, the coffee tour, and in Alajuela, we have Doka Estate Coffee Tour where you can learn about the coffee production and its plantation. 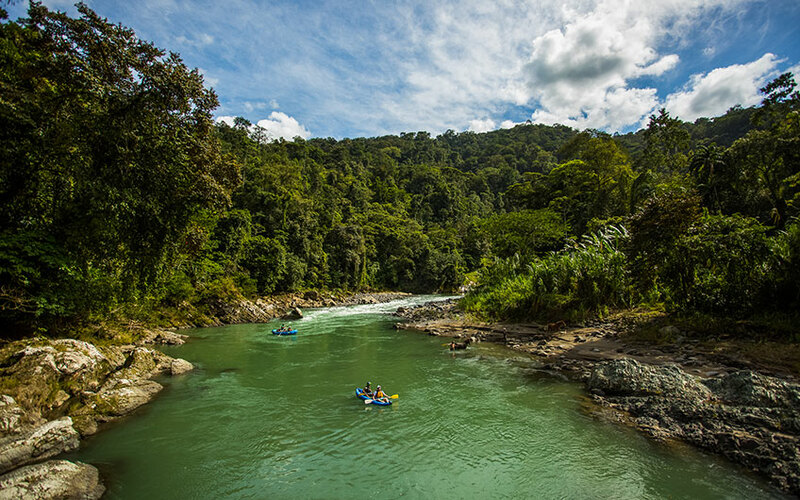 Costa Rica family adventure holidays should include Heredia, as there is the Sarapiquí area located, a place where you can do rafting at Sarapiquí River, class II – III and IV. 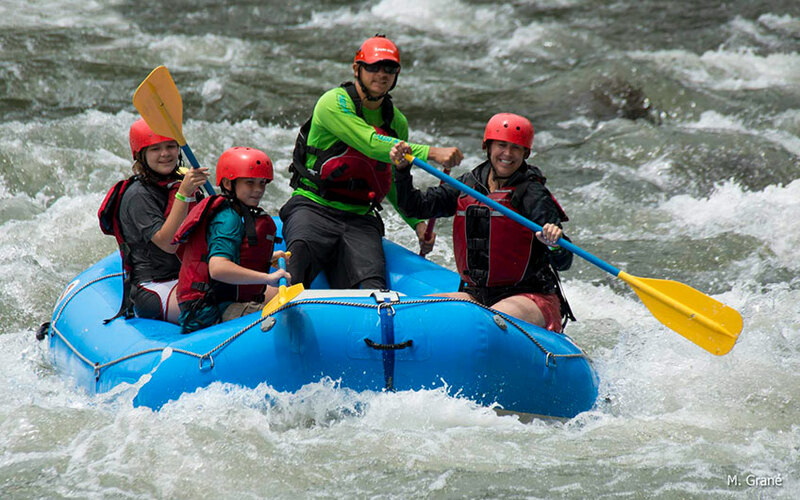 They can give you the option of taking only the II and III rapids tour, which is highly recommended for families with children. There you can do a chocolate tour, bat tour or a floating on a river, if you prefer soft adventure. The small town has a lot to offer in the same place. There can be found the Sloth Sanctuary and the Jaguar Rescue Center, close to Puerto Viejo. This are good spots to visit during your family trip because you and your family can see beautiful rescued animals, complicated to find them in their natural habitats, and with the guide’s help you will learn too much about these species and your children will get fun. In Limón, you can also find some of the most beautiful beaches in Costa Rica, you should be careful with the waves depending on the season, because during the rainy season for example, is not recommendable to visit some of them with children; but there is no doubt that amazing spots can be found there. Palo Verde National Park is a beautiful and astonishing place, where you can take a relax boat tour to admire the marine birds and its diversity of fauna; your Costa Rica family adventure will not be complete without the visit to some of our beautiful national parks. 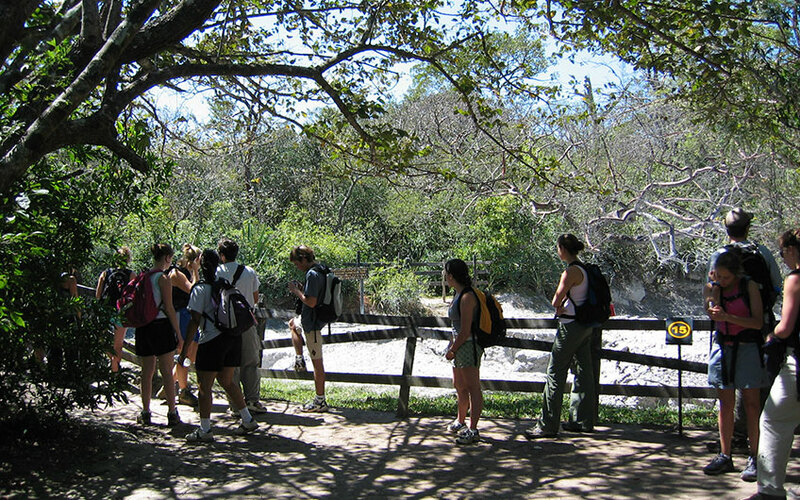 Rincón de la Vieja is part of the dry forest, another incredible national park located in Guanacaste, there are offered some active tours like horseback riding or canopy if you prefer to have fun and adrenaline during your family trip to Costa Rica. For those who are looking beach, Guanacaste has some of the prettiest beaches in Costa Rica, this is the hottest place, less humid than the Central or South Pacific and where most of the Costa Rica all inclusive family resorts are located. Manuel Antonio National Park, world known for its biodiversity is located on the Central Pacific, in Puntarenas. This is a place where almost everything can be done; your Costa Rica vacation packages can include this amazing destination where are beautiful beaches, cozy small hotels and quantity of activities to do. If you have heard about Corcovado National Park, in the South Pacific of Costa Rica, it is because you must come and visit it, where almost the 50% of the Costa Rica biodiversity is living. A secluded spot to relax during your family adventure package. As you saw, Costa Rica is a good decision for families, no limits are here for children. We are able to offer you thousands of adventure, fun, education and a beautiful place to create memories with your family. The travel designers of Travel Excellence, are specialists creating trips for families and we can provide complete itineraries full of nature, activities and unforgettable memories. Contact us, if you require more details about the packages in Costa Rica for families and please leave us a comment about this article.